Voluma belongs to the class of facial fillers that include Juvéderm, Belotero, and Restylane. Voluma is FDA-approved for deep-tissue injection in the midface to lift cheeks and restore volume and bone structure. Voluma lasts up to two years. 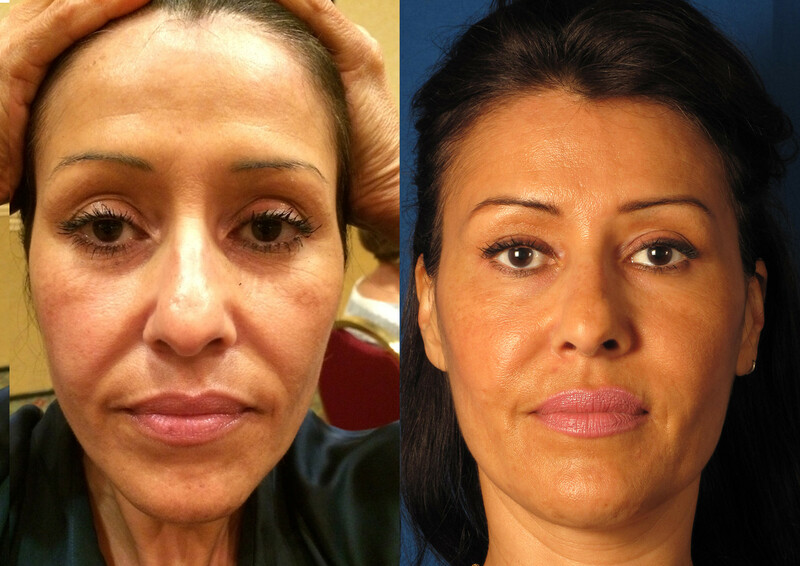 Many patients praise the results of treatments by comparing them favorably to a mini face lift. As we age, our bone structure changes, fat pads descend, and we lose volume. As a result, the cheeks may appear sunken and loses its youthful curves and contours. Voluma restores youthful contours to the midface and produces beautiful highly sought after high cheekbones that many consider markers of natural beauty. It costs $825 a syringe. It has been shown to last up to two years. I already have full cheeks. Do I really need Voluma? It depends on each individual. The best way to know is to schedule a consultation to get a consultation. Many patients have full cheeks, but upon closer assessment, we find that the cheeks are lacking the round continuous contours that is associated with youthfulness. Many times, by just putting a small amount of Voluma to the sides of the cheeks to produce a smooth continuity, it can lift sagging cheeks without adding a lot of volume to the appearance of already full cheeks. If I do Voluma, will I still need other injectables? It varies depending on what your concerns are. Voluma is often done in conjunction with other products as part of the liquid facelift. Other areas of the face sometimes still need to be addressed even after the Voluma is done, such as nasolabial folds, marionette lines, lower cheek hollowness, temples, etc. What are some things I can do to prepare for my treatment? Avoid aspirin, ibuprofen,fish oil for 2 weeks prior to your appointment. (Note: If your personal physician prescribed aspirin to you, do not discontinue without your physician's approval). If you are worried about bruising, take arnica for 1 week prior to the treatment to minimize bruising.